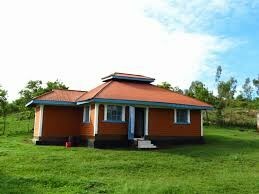 .In this brief, a review of the Kenyan housing market across 5 dimensions is conducted. These are: (i) demand and supply gap, (ii) access to finance, (iii) building technologies and related costs, (iv) real estate developers capacity, and (v) land, property and land off-site trunk infrastructure. The analysis conducted draws out the key impedimentsexplaining housing dynamics and provides a backdrop against which private sector participation in the sector can be framed. The construction of new roads, continuous rise in population and rural urban migration, has givenrise to urban sprawl in cities, and such has happened to the Nairobi Metropolitan. 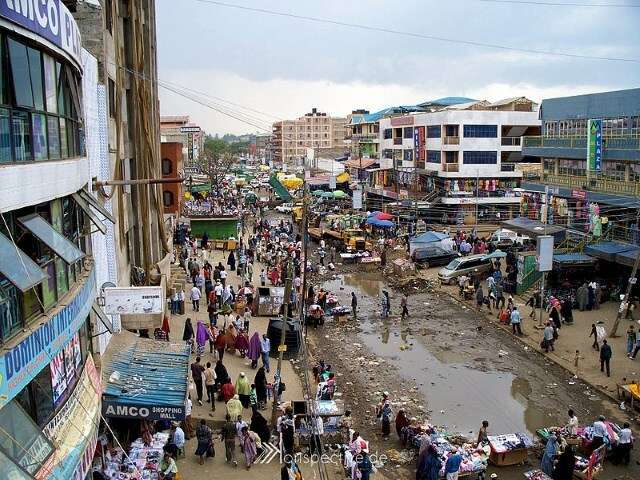 This urban sprawl followsareas where there is a good communication network, among other factors, leading to the conversion of theinitial land uses to settlement in the outskirts of urban centers where land is available. The same scenarioobtains in this area of interest. Remote Sensing techniques and geographic information systems (GIS), wereused in this study to track various land use changes over a period of fourteen years. This was done usingLandsat 7 ETM+ images for year 2000 and 2009 and Landsat 8 OLIS-TIRS for year 2016. 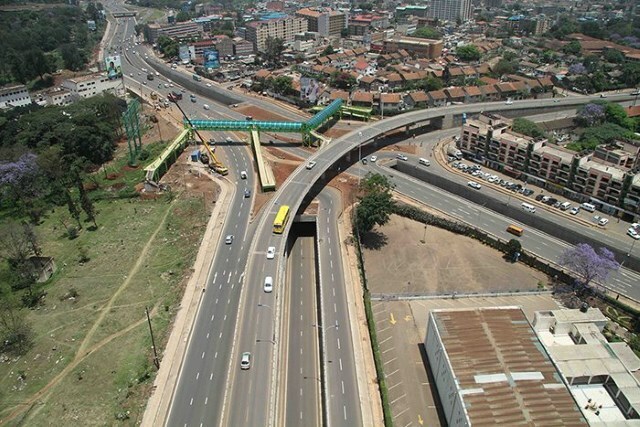 Supervisedclassification with maximum likelihood classifier was used to quantify and model land use along the Easternbypass and Thika superhighway of Nairobi metropolis in Kenya. Post classification analysis was used forchange detection, field samples were conducted for accuracy assessment using Erdas imagine software. Theresults were maps that shows the past as well as the current land uses. IDRISI 17.0 was used in the prediction ofthe Land use expected for the year 2025. The results shows that the grassland and cropland gradually decline;giving way to settlement. It further shows that the settlement is not necessarily linear as could have beenexpected and this research will help policy makers to design a proper framework to enable proper andsustainable development. The consultant attended a six days research orientation organised by HomelessInternational in Yellamanchili, Andhra Pradesh, India, prior to carrying out thisstudy. The orientation focused on the work of the Youth Charitable Organisation(YCO), a non-profit rural development organisation based in VisakhapatnamDistrict of Andhra Pradesh, India. 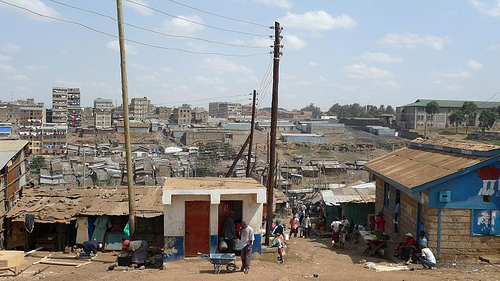 Kenya is facing an increasing growth of informal settlements in her urban centers. As rapid urbanization takes itstoll, so has the development and growth of informal settlements. The social, economic and environmental challenges whichinformal urban settlements face today, coupled with the speed of urban expansion, require an urban planning approach thatintegrates the concept of land information management systems in informal settlements in its blueprint. 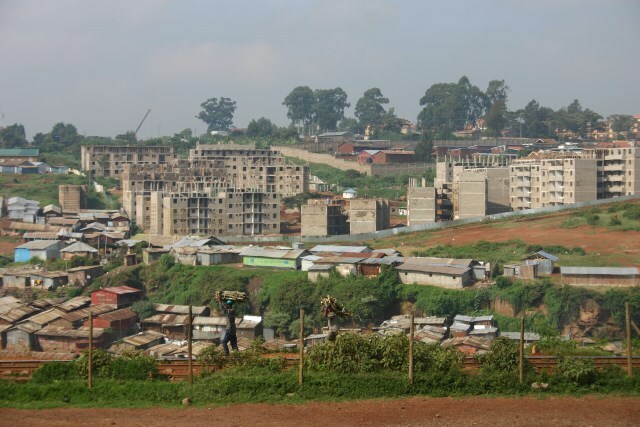 Based on a study inthe capital city, Nairobi, this paper describes the characteristics of settlements and land ownership in of informal settlementsin Kenya. First, a survey was conducted using a questionnaire to get an insight into the current situation of the informal landdevelopment sector in the study area. Structured interviews were used at the settlement level to gain knowledge on theoperations of land management. Finally, focus group discussions were conducted with the village elders and headmen at thesettlements to gain more insights on land ownership systems. Data for the study was analyzed descriptively. The studyestablished that land information management interventions in these informal settlements are uncoordinated, ad hoc andoverlapping. There is also lack of systematic dissemination of land information and updated land information since thestakeholders’ interventions in land information management are uncoordinated and therefore undermine efficiency ofenvironmental planning. Besides, there is poor security of land information due to lack of back-up data in these settlementsand information on land registration, registration of rights and rights holders is in itself insufficient and does not addressenvironmental planning. There is therefore need for the government and other agencies to create a platform for discussion,monitoring and coordination of the various land data collected to ensure interventions for environmental planning arecoordinated and not overlapping. Providing formal titles to residents in densely populated informal settlements without fuelling conflict or encouraging gentrification presents several challenges. It has been argued that, in some contexts, forms of collective tenure such as a Community Land Trust may help to overcome some of these problems. 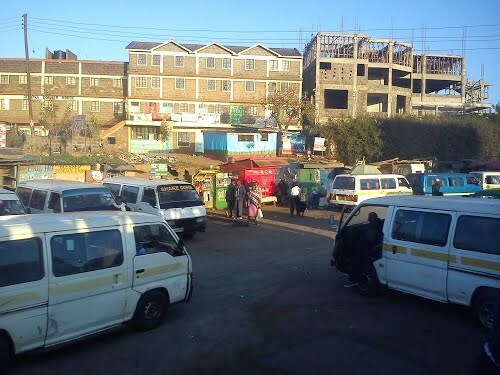 This paper analyses one attempt to legalise informal tenure arrangements, minimise relocation and prevent gentrification by introducing collective titling in an informal settlement in Nairobi. The world’s urban population is growing at a faster rate than the total population of the world.By 2030, the global urban population is projected to increase by over 2 billion; at the sametime, the rural population will stabilize and then decline by an estimated 20 million. Morethan 90 per cent of this urban population growth will be in developing countries, and by 2030the urban population will have far surpassed the rural population (Millennium Project, 2005;United Nations, 2004). In Africa, rural-to-urban transformation is taking place in a context offar higher absolute population growth, far lower levels of socio-economic development, andsignificantly less institutional capacity, at all levels, than was the case during the urbanizationof the now-developed world. Consequently, although Africa remains the least urbanizedregion of the world, it is where urbanization is posing perhaps its most difficult challenges. There is an increasing recognition that the growth of cities is inevitable and the solution to urban problems depends heavily on effective urban planning, infrastructure development and management. Rapid and often unplanned population growth is often associated with population demands that outstrip infrastructure and service capacity and leading to environmental degradation. This study, therefore sought to put into perspective impacts of population growth on infrastructure and service provision in Eastleigh neighbourhood. Its main themes were first, to understand trends in population growth; secondly, to understand the impact of population growth on infrastructure and services; thirdly, to explore available initiatives and their effectiveness in guaranteeing sustainable infrastructure and effective services in the neighborhood. The study interviewed 30 households, 20 businesses and 3 institutions in infrastructure development and service delivery. For households, simple random sampling technique was adopted while for institutions and businesses a purposive technique was utilized. The data was analysed with the aid of computer packages SPSS and Microsoft Excel programs. The packages generated outputs that were illustrated using percentages and bar graphs. Housing in cities of most developing countries pose a key development challengefor city planners and managers. 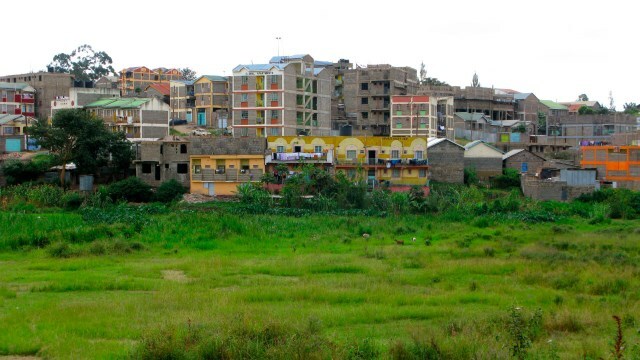 In Kenya reduced public investment in urban housing hasmeant that the private sector must play a greater role in future housing development.However, problems related to uncoordinated land tenure, poor land-use planning, highinterest rates, lack of infrastructure development and ineffective institutions haveadversely affected private sector involvement in the development of urban housing. As astrategy to provide their own housing, individuals mainly in the middle income grouphave opted to developing their own houses. This process has been referred to asIndividual Housing Development (IHD). The aim of this study was is evaluate and analyze national government financing towards land and housing reforms in Kenya. The objective of this study is to analyze the progress made in land reforms since we published the first report on economic, social and cultural rights in 2013. A number of policies guiding these reforms have been reviewed to inform the drafting of this report. 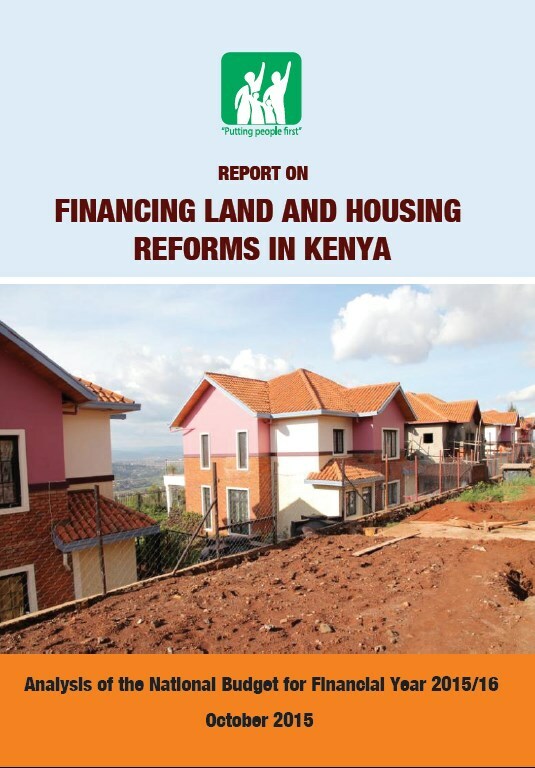 To better understand the financing of these reforms, Hakijamii carried out intensive comparative budget analysis for the land and housing sector for the period under review. At the end of the study, key challenges facing the two sectors were identified and then recommendations and way forward suggested. Kenya has not had a single and clearly defined and codified National Land Policy since independence (Ministry of Lands, 2007). In the interim, a complex set of land laws has evolved, some of which are conflicting, resulting in an overly complex and inefficient land administration and management system. This land governance legacy is no longer appropriate for Kenya and land issues have raised themselves in many forms; deterioration in land quality, squatting and landlessness, disinheritance of some groups and individuals, urban squalor, under-utilisation and abandonment of agricultural land, tenure insecurity and most recently conflict following the national elections in December 2007. Amid expansive and often informal urban growth, conflict over land has become a severe source of instability in many cities. In slum areas, policies intended to alleviate tensions, including upgrading programs, the legal regulation of informal tenure arrangements, and the reform of local governance structures, have had the unintended consequence of also spurring violence and conflict. 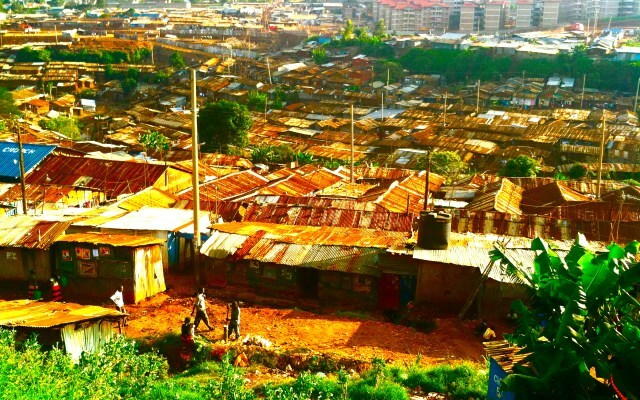 This paper analyzes the conflict over a proposed "ethnic homeland" for the Nubian community in the Kibera slum in Nairobi, Kenya, in order to advance knowledge on the strategies communities adopt to promote their interests and how such strategies impact on urban conflict management. The expansion of the cities into the rural-urban fringes is creating direct and indirect impacts with those living there facing new challenges and opportunities in meeting their life needs and accommodating the by-products of urbanization. Although urbanization in these areas provides opportunities for employment, better housing, education, knowledge and technology transfer, and ready markets for the agricultural products, increase in population places enormous stress on natural resources and existing social services and infrastructure. 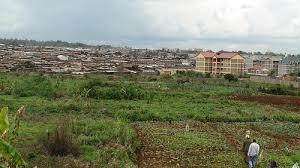 This paper, using a multiple theoretical framework and qualitative research approach, attempts to describe the positive and adverse effects of urbanization on land use planning, livelihood and environment in rural-urban fringes, using the Town Council of Karuri, within Nairobi rural-urban fringe, Kenya, as a case study. 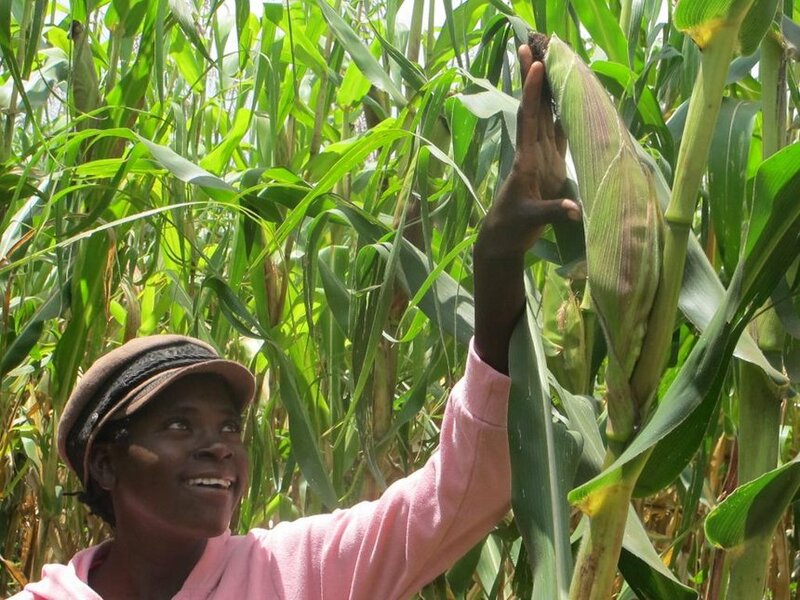 The nature of property rights society vests in individuals or groups and themanner in which those rights are exercised through a land tenure system haveimplications for the sustainable use of land. 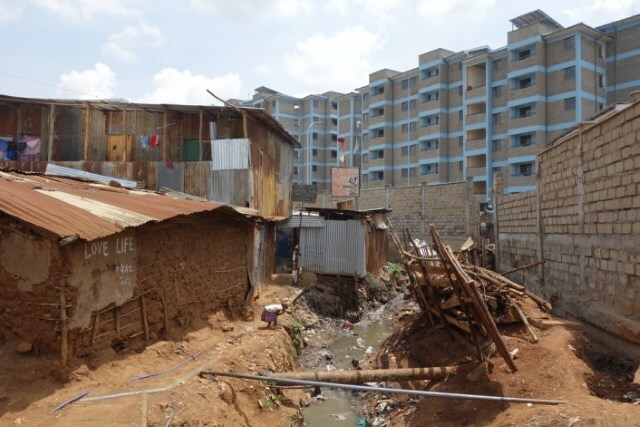 Using Kosovo and Kambi Motoinformal settlements in Nairobi as case studies, the researcher investigatedwhether improving land tenure security would lead to sustainable land use andeventual improvement of the environment in informal settlements. 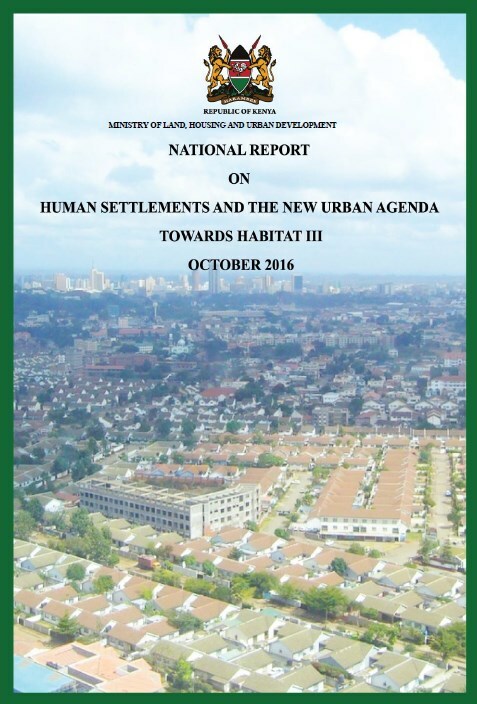 This report is a product of broad-based stakeholders’ consultations meant to inform the three preparatory committees of Habitat III and the Conference. The report is divided into eight chapters organized in line with guidelines provided by UN-Habitat which consist of six major thematic areas. Globalisation and urbanisation trends in developing countries present both opportunities for growth and development on one hand while contributing to the complex myriad challenges of managing urbanisation on the other hand. Cities and urban areas play a critical in the development of a country. They provide platforms that incorporate intense combination of economic, cultural and political factors of a country or region. 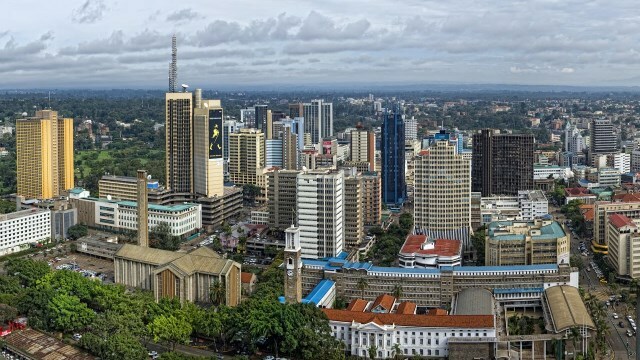 Nairobi city is Kenya’s economic capital and is a major economic hub in Africa. However, the problems of Nairobi manifest in huge proportions and call into question the ability and capacity of the city to manage the challenges of urbanisation sustainably. 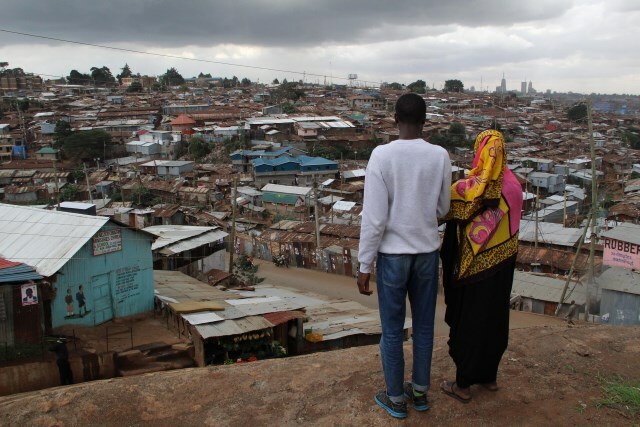 This paper gives an overview of slum upgrading in Kenya observing that slums are a major urban housing phenomenain Kenya that require immediate attention. Rather than demolishing them, which renders many people homeless, theyshould be upgraded through tenure security and infrastructure improvement so as to provide a better living environmentfor the residents currently living in the settlements. The aim of this paper is to provide an overview of the initiatives that are being taken withrespect to the management of the peri-urban interface by development agencies, NGOs,research institutes and government authorities. The report is structured in two parts: the firstwill consider the initiatives being undertaken at the programme level and the second willconsider interventions at the project level. This distinction has been made because the aim ofthis research project is to generate policy guidelines for the planning and management of theperi-urban interface with specific attention to the poor, including recommendations for effectivestrategies for this end. At the programme level agencies’ policies are more apparent and thesection on programmes seeks to reflect this, while the section on project interventions aims tohighlight actual strategies for planning and management in specific cases. Projects to secure land rights for the urban poor have been implemented in Sub-Saharan Africa for thirty years. A recurrent issue is providing sustainable land tenure for settlement residents/project beneficiaries. Commonly, individual titles have been used. 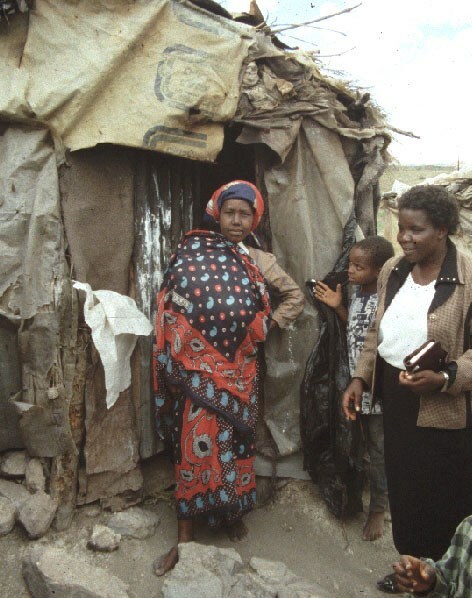 Often recipients sell their land rights to more affluent city dwellers, exacerbating the growth of slums. Policymakers are investigating alternative tenure forms including community-based institutions. This paper presents a project in Kenya in which the Community Land Trust (CLT) model was used to provide tenure security as part of a settlement improvement project. 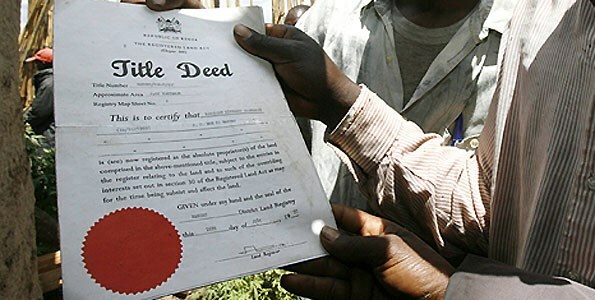 The paper seeks to understand community decision-making on land tenure and why settlement residents selected a group or community-based title option over individual title when one theoretical perspective on property rights in Africa, the Evolutionary Theory of Land Rights, would predict a preference for individual ownership. 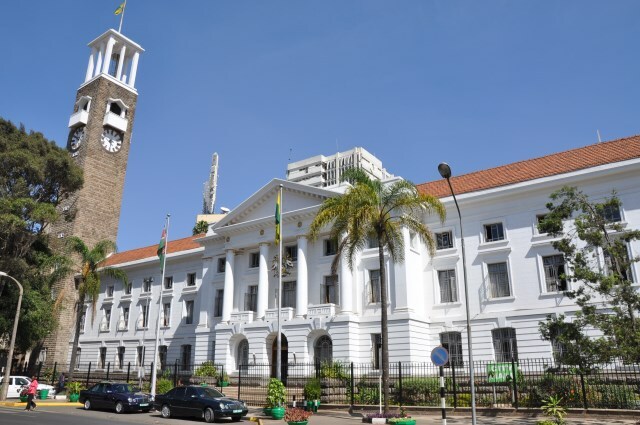 Minutes of Meeting for the Joint Coordinating Committee on 11 December 2012 at 15:00 hours, thePermanent Secretary Ministry of Local Government Boardroom, Jogoo House.